I wanted to write something profound, funny, pithy, and wise to explain my long absence from this blog. Unfortunately, I’m not having a profound, funny, pithy, or wise season. I’m simply feeling old and grumpy. It’s like this — twenty years ago I didn’t need glasses to read the copyright notice at the bottom corner of the eye chart at the doctor’s office. Ten years ago I still didn’t need glasses to read the bottom line on that eye chart, but the copyright notice was just a blurry line. Five years ago I didn’t need glasses to read my email, though I sometimes wore a reading pair to ease the eyestrain of a long day’s work in the office. Now I have three pairs of glasses, each for a different sort of work. The bifocals are great for driving and seeing anything in the distance with clarity, plus that magnified bottom section makes it possible to read the labels at the grocery store. 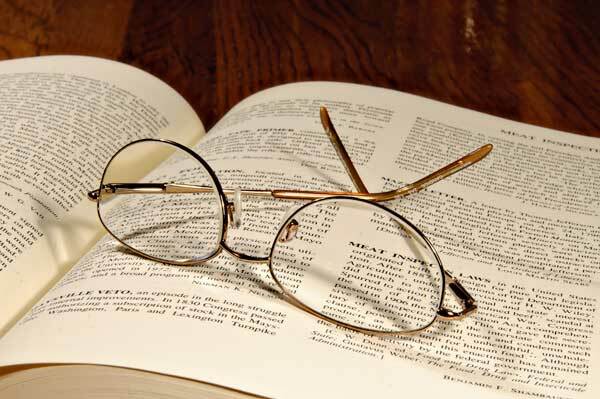 A stronger pair of reading glasses helps with close-up work and helps me decipher the fine print on maps, contracts, and special offers that seem too good to be true. My most important glasses, however, are the computer glasses, which are just right for general computer and desk work, plus a lot of other tasks that require clear vision in the middle distance. Without my computer glasses, I’m practically unable to function. This fall, for several weeks, I was practically unable to function. I lost the computer glasses while traveling out of state. Then came the weeks of hoping they’d be found, the weeks of waiting for the replacement pair to arrive, and the weeks of catching up on work I’d neglected because I could barely see what I was doing. Bah, humbug, grumble, grunt. I’m glad that’s over. I’ve had glasses and contacts since I was 19 and that’s never bothered me. Earlier this week I gave in and put on the cheap magnifying glasses my eye doctor told me to buy two years ago. Wow. I didn’t know my vision is this bad. I can read without holding everything at arm’s length. Print is larger and crystal clear but concave and…they make me feel old. I need to invest in a not-as-cheap pair of glasses. I might splurge and spend $5 on the next pair. Robin – arm’s length . . . you must be far-sighted, too. Just a couple years ago, my arms were still long enough. I am twice retired, most recently for a year. I will be 60 in a few months. I an currently going thru a second round of radiation for a very small recurrence of a major cancer two years ago. I now have more time to read – you’d think God would slow down the fuzziness when I put a page or computer screen before me. HA! But – God is good at all times and in all circumstances. I just don’t know what is best for me! Getting old is a challenge BUT consider the alternative. YIKES! Buy those glasses. And, you know what? Grumpy is good….you’re allowed. I know how you feel about getting old. After two years of bad heart health. I’m finally all repaired, and turbo-charged. Next week I’ll be 65 and I just got new glasses. Fixing the heart issues also fixed a lot of vision problems. My prescription isn’t nearly as strong as the last one… and I can ditch the “computer glasses”. I can see clearly now….